95% of acne remedies do not work because they don't address the root cause of acne. At Bonne Santé, we use a holistic approach to treat your acne. Rather than using drugs, our natural acne treatments focus on the underlying of cause of your acne. This holistic approach combines deep-cleaning acne facials with home care including effective skin care products, natural supplements, along with dietary and lifestyle recommendations. Step 1: Skin Analysis to determine your type of acne: inflamed, non-inflamed, or combination. Dietary recommendations, nutritional supplements and/or herbal remedies, suggestions regarding lifestyle changes. Step 2: Home Care Regimen that is carefully chosen to effectively reduce acne. 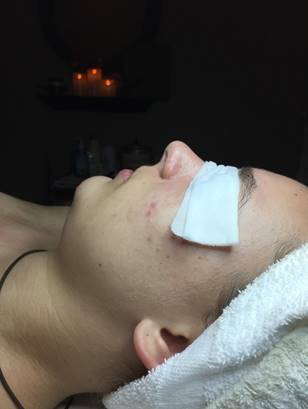 Step 3: Wellness Spa Acne Facials: deep-cleaning, soothing, healing. If you already have acne scarring we recommend a fourth step to reduce scarring. Natural Diamond Tip Microdermabrasion is an effective treatment for acne scars. Your esthetician will discuss the best options for you. Our personalized acne treatment programs are simple-to-follow and will clear your breakouts in approximately 6 to 12 weeks. By combining personalized, natural skin care products with bi-monthly acne treatments we’re able to get your acne under control in just a few months – without the use of antibiotics or harsh drugs. Each personalized acne plan is unique and designed for your specific needs. At Bonne Santé, there are no one-size-fits-all solutions. 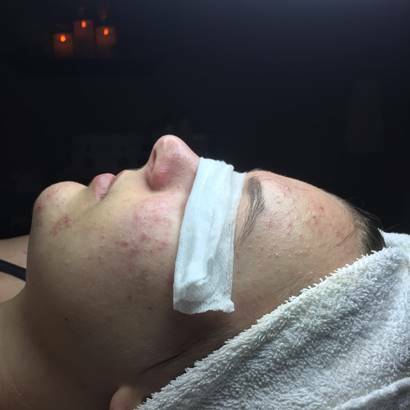 Our team of estheticians and nutritionists take the time to really get to know you so that we can develop a comprehensive acne plan that starts working on day one. We offer on-going, caring support and encourage your phone calls. Our acne healing and acne scar reduction treatments serve the areas of Old Lyme, Lyme, East Lyme, Waterford, Norwich, New London, Mystic, Old Saybrook, Westbrook, Clinton, Madison and New Haven. We offer e-consultations for those living outside our service area. See below. Educate you on a home care regimen. Teach you how to control acne naturally. Provide advice and methods to avoid aggravating your acne. How Are We Different from Other Practitioners? Most practitioners treat acne as a bacterial problem. Here at Bonne Santé, we address the root causes and use more natural skincare and nutritional advice to combat inflamed and non-inflamed acne. Additionally, we consider your diet and gut health and make recommendations on vitamins and supplements accordingly. Briefly put, we provide the best natural skincare for ALL types of acne including hormonally induced acne, comedones, pustules, nodules and cystic acne – all without the use of antibiotics. After your skin has cleared we offer skin treatments for post-inflammatory hyper-pigmentation that may have resulted from your acne. Microdermabrasion assists with acne scarring so ultimately your skin clears and has few scars. If you live a great distance away from us, we can schedule your one-hour initial consultation through Skype. To treat your acne, we perform a remote, video facial examination and create a customized program to treat your acne. Afterwards, we will ship any necessary treatment products directly to you. If you’re looking for acne remedies that really work, you’ll find them at Bonne Santé. Call us today on 860-434-7429 to book your initial analysis or book your first step online.